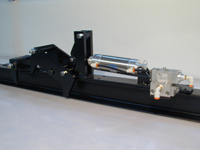 The Gardner Indexer and Trolley Stop combination is pneumatically operated from remote locations. 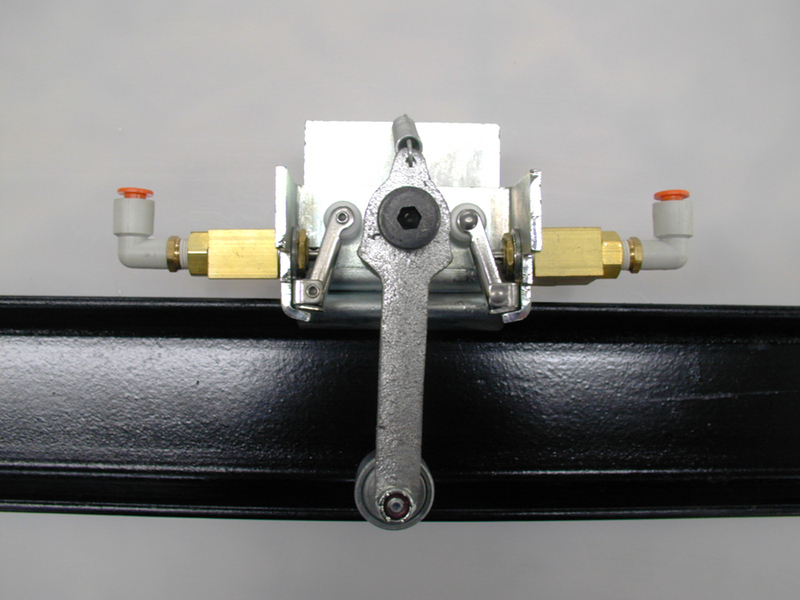 It is designed to release one sling on a trolley, some distance from the accumulation point, while at the same time holding back the balance of slings on trolleys which have accumulated. Our units are substantially built to withstand the daily pounding of stopping a moving trolley. GMC indexers are designed to distribute the stopping forces evenly on the trolley. GMC DOES NOT USE a single “pin” through the track to stop rolling trolleys. The concentrated force acting on the pin when the trolleys strike the pin will cause bending of the pin. The Gardner Trip Cam is an air switch which is activated by the movement of a trolley on the rail for the automatic sequencing of an operation. A Gardner Lift Control Panel is installed adjacent to three-stage lifts where storage rails have been installed. Panels are constructed to coincide with the number of storage rails. 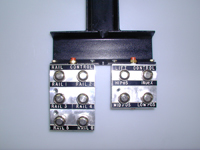 Push buttons are used to set the switches to automatically deliver the sling to the desired rail. The loaded sling is raised to the upper position and is automatically sent into storage on the pre-selected rail. After the sling and trolley leave the lift, the lift lowers to the intermediate position. The operator then indexes an empty sling onto the lift and lowers it into a cart at the low position for loading. The same type of control panel is used at the washers to release the sling trolley from the holding area, but without the lift control stations.